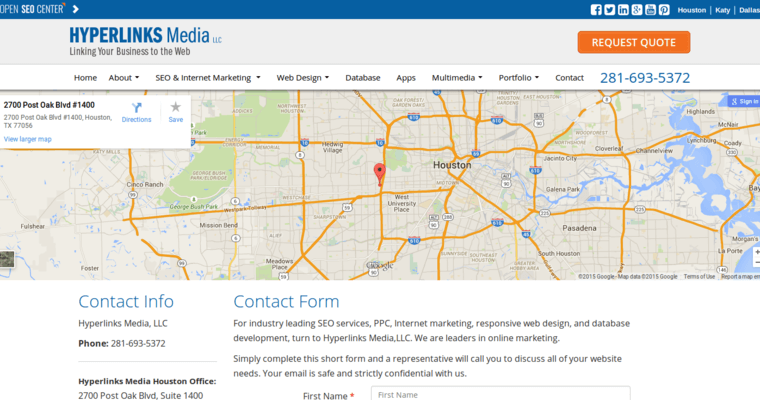 Hyperlinks Media is a Houston, Texas based digiital marketing agency, specializing particularly in website design and search engine optimization. Hyperlinks Media has built a rock-solid reputation in the digital marketing industry by maintaining a high standard of quality through more than two decades of business. 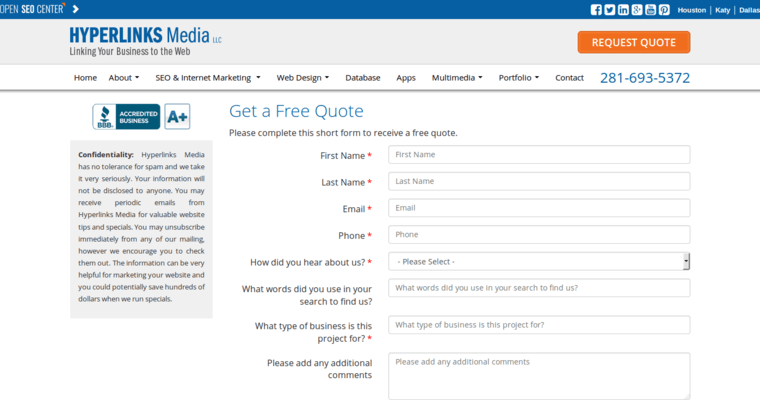 As far as the specifics of their marketing techniques are concerned, Hyperlinks Media focuses particularly on lead generation when developing interactive web pages for their clients. They pride themselves on coding the latest technology into the back end of their development projects to ensure that the final product is fast, easy to use for the customers, and most importantly: effective. The clean, intuitive designs provided by Hyperlinks Media promise to increase the conversion rate of visitors into customers. 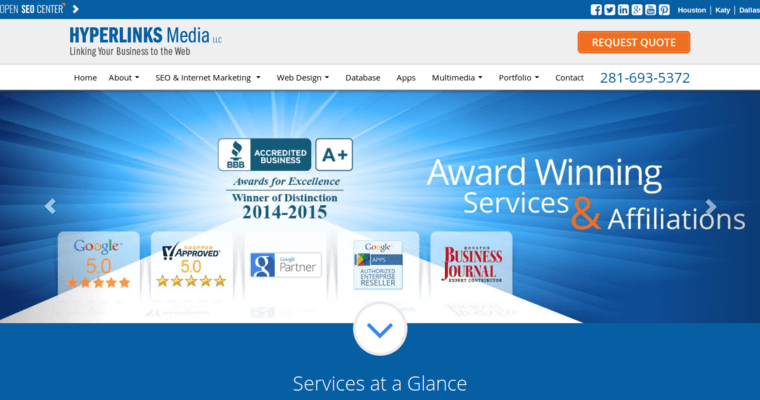 In addition to their legendary web design and search engine optimization services, Hyperlinks Media also offers Ecommerce solutions, digital marketing, logo and branding services, and custom programming.